The name Kapart stands for men´s underwear plus sizes. They offers underwear comfortable, functional and frisky. 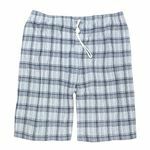 Kapart has a great selection of slips, boxershorts, shirts, pants and more. In 1959, Kapart was introduced in Germany. In the beginning they had simple cutted underwear in white. Because of great developements in the area of design, the products got more an more comfortable. After that, the company expands, because all men want to wear high-quality and comfortable underwear. The high-quality products of Kapart has a great fitting and form stability. Frequent washing doesn´t affect the underwear not that much like tradtional products. The materials of Kapart were tested about their washing resistance.